Identify the four Ds of water management and how they affect the building envelope. Explain the physics of air and moisture movement through the building enclosure, and give an example of solar driven moisture. 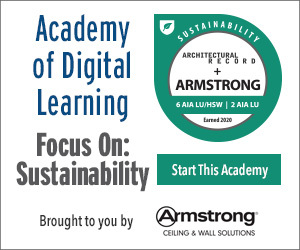 Discuss four pitfalls with how today’s buildings are being designed and built to protect against air and moisture. Describe three alternative moisture and air barrier design solutions to increase the cost-effectiveness and sustainability of the structure. A dry building is a durable building. Yet properly managing the movement of air and moisture across the building envelope has long bedeviled architects and builders. 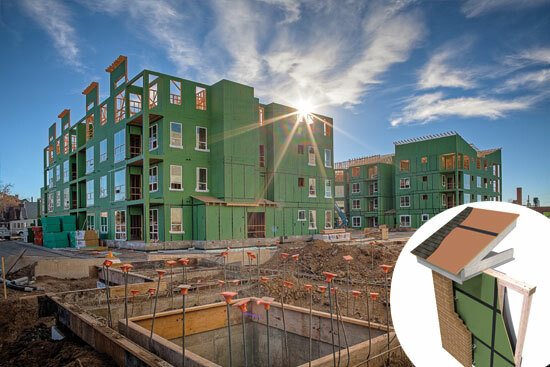 To effectively control the indoor environment for energy savings and occupant comfort, today's construction practices are moving to a tighter building envelope. In a tight building, heating and cooling efficiencies can be maximized and properly designed ventilation systems can effectively manage moisture levels and indoor air quality. These principles of high-performance building are common in nearly all current green building standards and construction codes, and performance improvements in air sealing and air exchanges are specifically rewarded through building codes and green rating systems such as the U.S. Green Building Council's Leadership in Energy and Environmental Design (LEED) program. The traditional methods of managing moisture intrusion such as caulking, building felt, and house wrap are being replaced by high-performance panels with an integrated weather barrier that helps eliminate the risk of water becoming trapped between building wrap and sheathing, and is specially engineered to allow permeability, enabling the building to “breathe.” This article will address the physics of air and moisture infiltration into the building envelope and present a comparative discussion of traditional and contemporary methods of managing air, water, and moisture. Moisture, in all its physical forms, is commonly regarded as the single greatest threat to a building's durability and long-term performance. When moisture infiltrates the building envelope, problems can occur: mold, mildew, rot, and corrosion which in turn can translate to maintenance problems, poor indoor air quality, and building system failure—factors that, in a worst-case scenario, may pose liability issues for building designers and owners. High-performance panels feature an integrated water-resistive barrier for effective moisture management.